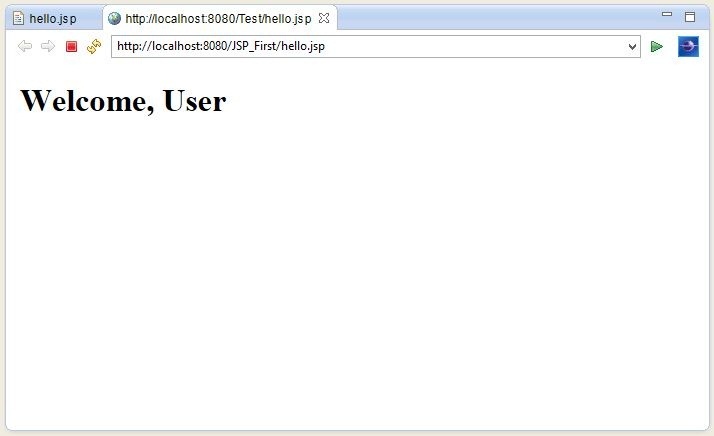 A JSP page looks similar to an HTML page, but a JSP page also has Java code in it. 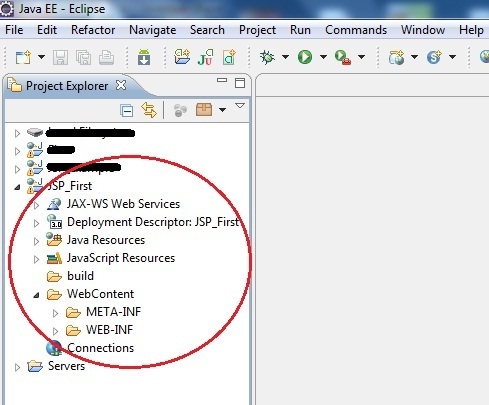 We can put any regular Java Code in a JSP file using a scriplet tag which start with <%</code> and ends with %>. 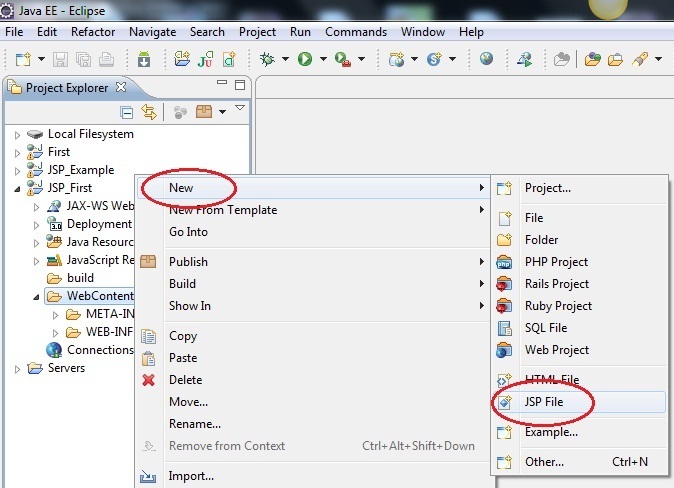 JSP pages are used to develop dynamic responses. 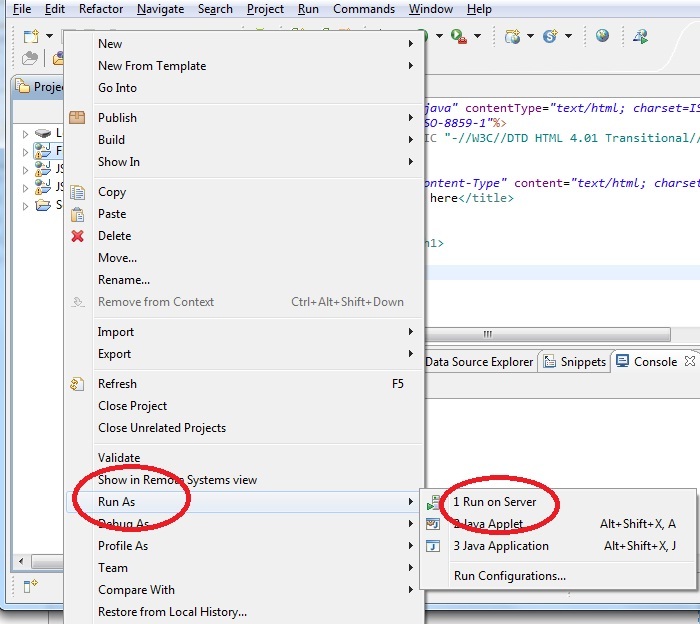 To learn HTML, go to HTML Interactive Course and learn HTML while practicing it side by side. 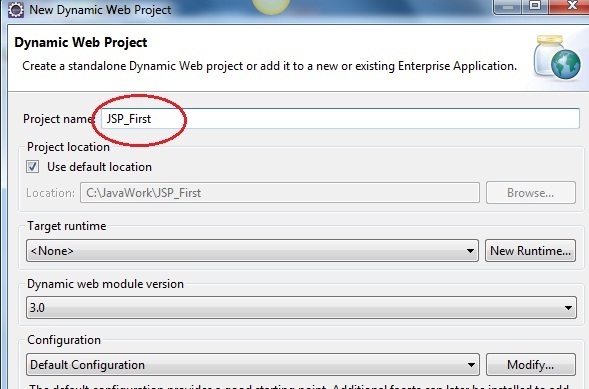 Give a name to your JSP file and click Finish. 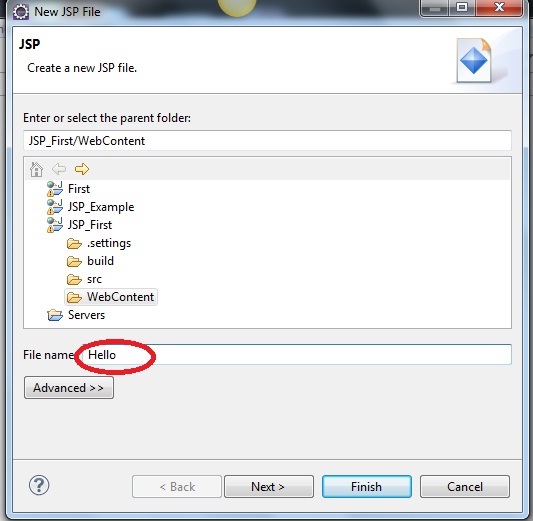 Write something in your JSP file. 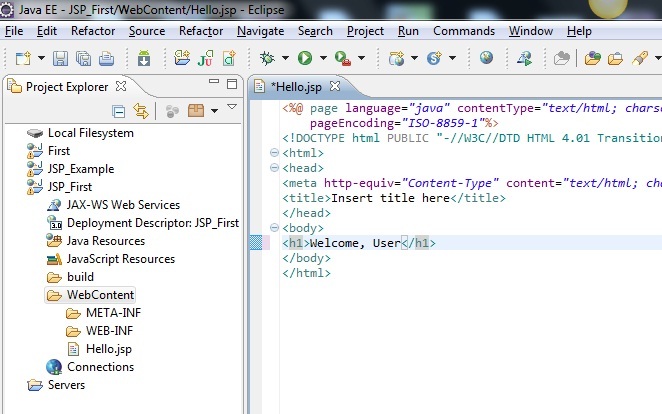 The complete HTML and the JSP code, goes inside the <body> tag, just like HTML pages. 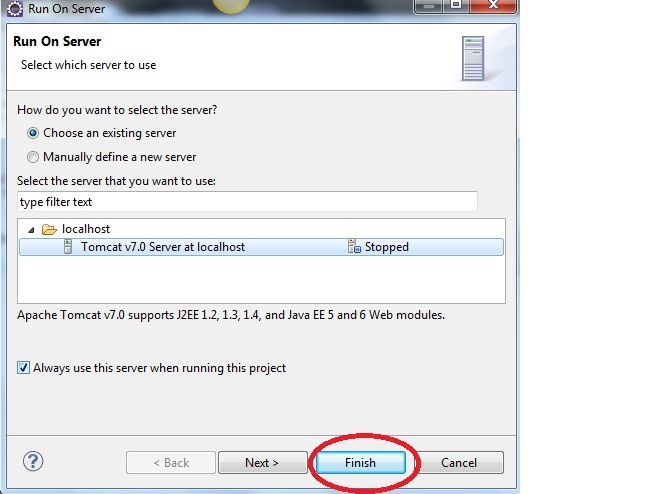 See the Output in your browser.